SE13’s Sunset Strip—Tequila cocktails and icy-cold Mexican beers. 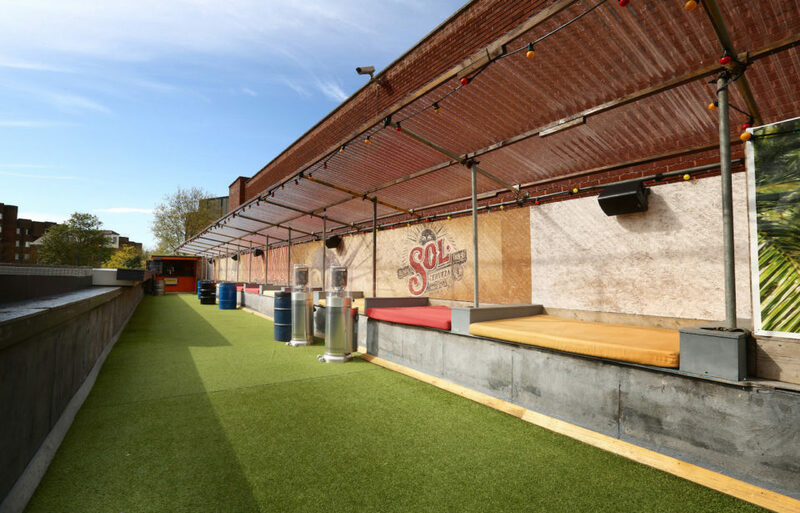 Model Market has transformed a 1950s market in the heart of Lewisham into one of South London’s most popular summer weekend destinations and event spaces open from months May to September. The former shop fronts have been turned into seated micro-diners with food served from an eleven-strong line-up of superb street food traders. There are also five fantastic bars including a rooftop beer terrace and tiki bar with cocktails in every color of the rum-bow. Model Market is a short walk away from Lewisham DLR and train station.